The alignment of your child’s teeth and bite are essential to them having an attractive, functional smile that always fills them with confidence. Using a combination of interceptive and comprehensive orthodontics, we’ll be able to get beautiful results with the least amount of treatment. 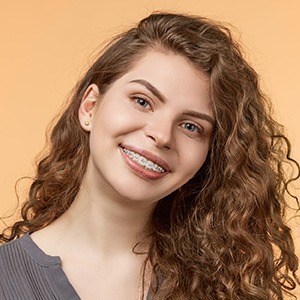 CCDC specializes in the early treatment of orthodontic problems that can assist the growth of your child’s face, correct common bite problems, alleviate dental crowding, and possibly prevent the need for full orthodontics. With these treatments, we’re often able to prevent small issues from becoming big ones or circumvent them altogether. Please see the list of appliances the Paulsons are trained and experienced in using to ensure your child’s best smile. 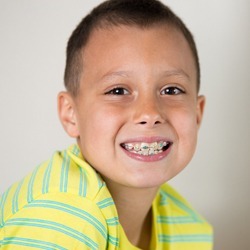 The Paulsons are able to use a wide variety of orthodontic appliances that can guide the development of the dental arch as well as correct specific bite problems such as an overbite, underbite, or cross-bite. Certain appliances can also be used to correct habits (such as thumb sucking) that can negatively impact a child’s oral development. These may be used in conjunction with other orthodontic treatments or on their own to correct specific issues. 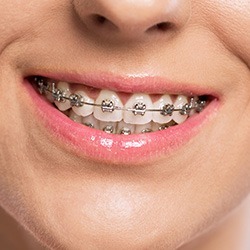 Traditional metal braces are effective for correcting even the most complex bite and alignment concerns. Brackets and wires gradually move the teeth into their correct positions using a customized treatment plan. 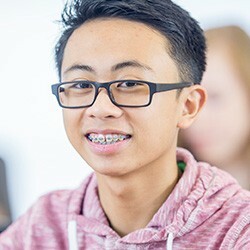 During your child’s consultation, we take the time to discuss how braces work and what they can expect on their journey to a straight, healthy smile. We will answer any questions you or your child have to ensure you are confident in the process.